Born at the turn of the millennium, the members of Generation Z are no strangers to today's fast-paced, hyperconnected world. They were born in the Digital Age. They grew up online. Their identities, attitudes, and perspectives have all been uniquely integrated with technology. Now, as they stand at the brink of adulthood, it's time for the world to discover: Who is Generation Z ? Vivek Pandit shares an insider's perspective on what it means to be part of this unique generation. By exploring the forces that have shaped him and his peers, he gives insight into how they may go on to shape the world. 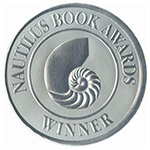 We Are Generation Z was awarded the Silver 2015 Nautilus Book Award for Young Adult-Non Fiction and Gold 2015 Moonbeam Children's Book Award in the Youth Author category. The book is also a finalist in two categories in Foreword Reviews’ 2015 IndieFab Book of the Year Awards; winners announced June 2016.